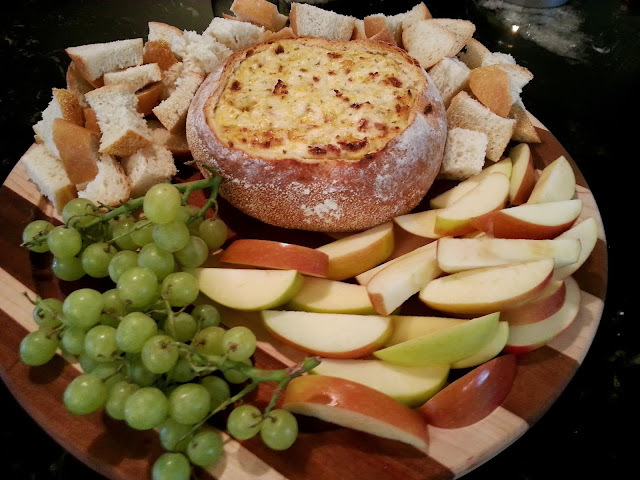 This A.M. if you want the cheesiest, gooiest, yummiest, most addicting dip recipe, this is it. 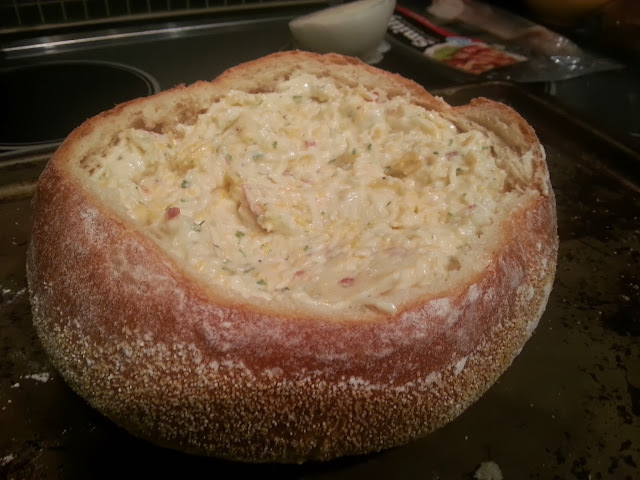 Every party I have ever made cheesy bread dip for, it is always the first item to go. Be careful though; at every party there is always one person that camps out in front of the bread bowl. Hovering over the bowl, sucking up the cheesy deliciousness, working faster than a Dyson vacuum on a dirty rug. 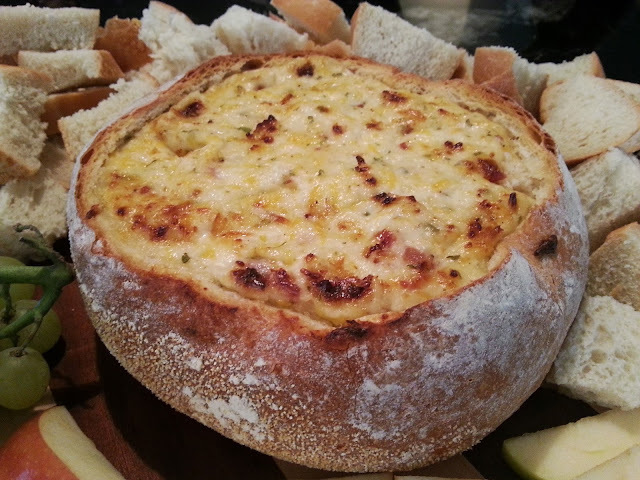 Remove any chairs or bar stools in the area and don't be afraid to push and shove to get your cheesy bread dip fix! 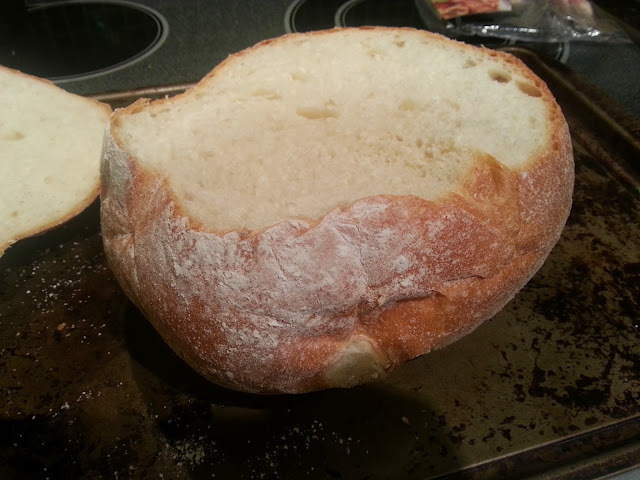 Hollow out your loaf of bread as shown in the pictures below to create a bowl. 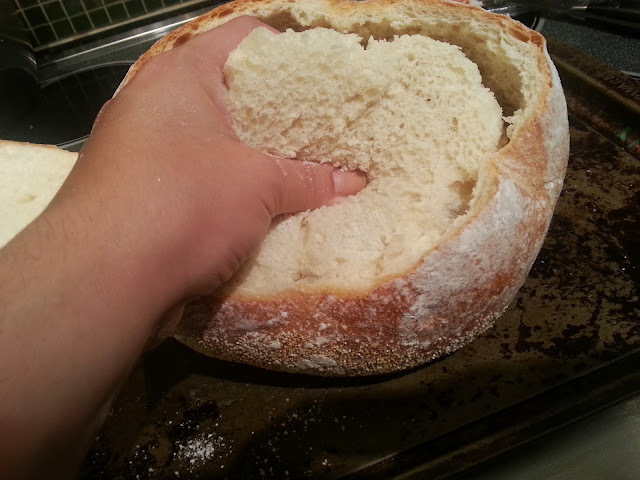 Cut up the top and inside of the loaf into chunks for dipping later. 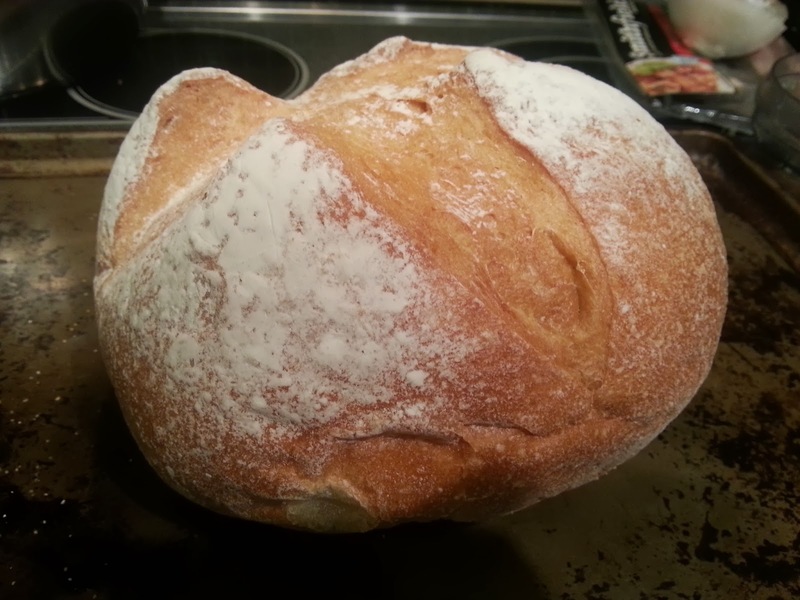 We always need more bread so I buy an additional small loaf and cut that up too. 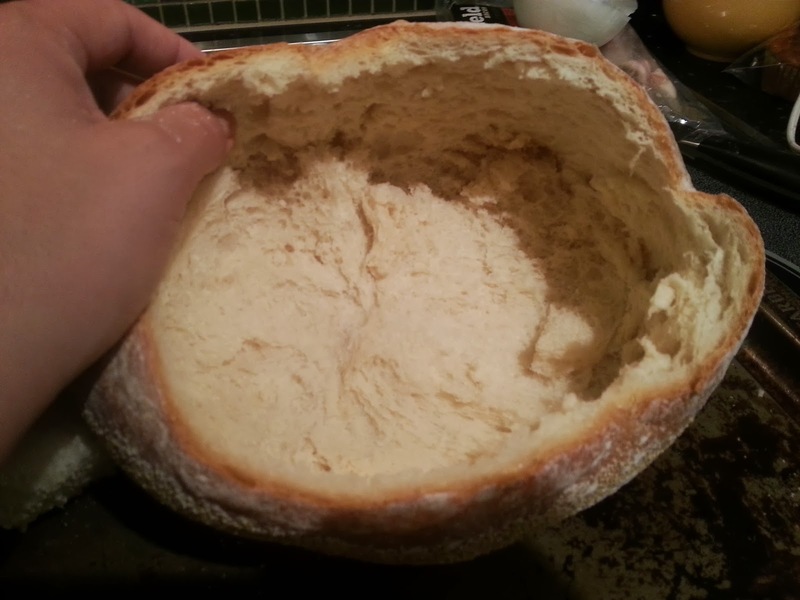 Mix remaining ingredients and put into bread bowl. 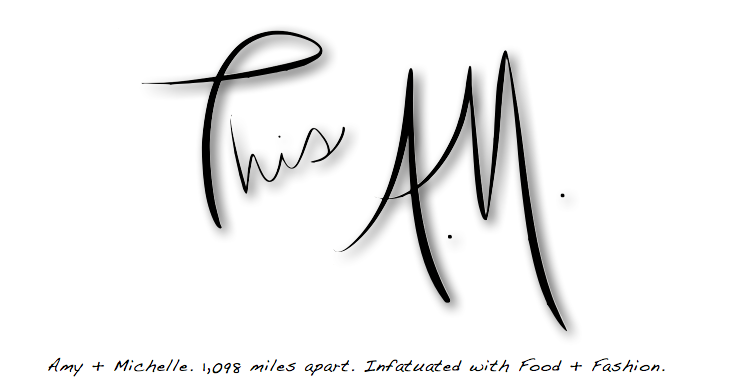 Bake at 400 for 45 minutes, covered with foil the first 20 minutes. 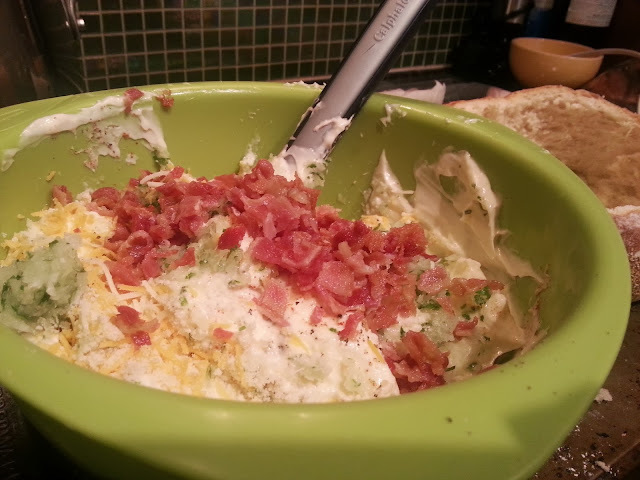 Dip should be slightly browned, hot and bubbly. Serve with bread chunks, grapes and apple slices.